London, UK – May 9th, 2018 – Cinesite London delivered 215 challenging VFX shots for AVENGERS: INFINITY WAR, Marvel Studios’ latest record-breaking blockbuster. 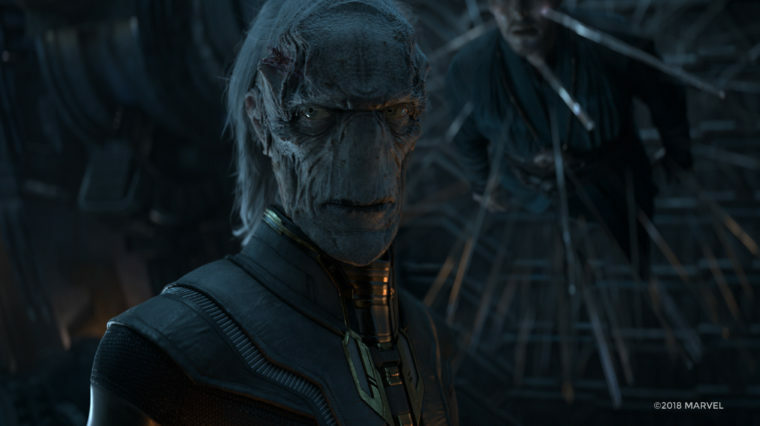 However, the most challenging aspect of Cinesite’s work was the creation of Ebony Maw, an important and entirely CG character seen in extreme camera close up. Actor Tom Vaughan-Lawlor’s facial performance was captured using a head rig; this data, combined with set photography and witness-cam footage was used as a guide for the full body animation. The team received artwork and a high-resolution digital sculpt, from which they rebuilt the character.